Learning to manage, lead and contribute to cross-functional teams is a skill that I learned while in the military. Like many Americans stunned by the events of 9/11, Rashad Hunt remembers exactly where he was and what he was doing when the South Tower of the World Trade Center fell. A Navy sailor at the time, he was on a routine deployment around southeast Asia. “I was on the USS Carl Vinson. I woke up that morning and stepped out of the berthing to find a ton of people gathered around the TV. I just assumed they were watching a football game or something,” he says. Drawing from the emotions of his fellow sailors, it wasn’t long before Rashad realized the scenes playing out on the screen were much more sinister. Shortly thereafter, the USS Carl Vinson—turned warship—was sailing toward the Arabian Sea with Rashad and crew. “It was a pleasure having served during those times when it didn’t matter the color of your skin, where you were from or your rank. Everyone came together for a cause, one much bigger than our selves. That cause was to serve our great nation. I will always remember that time in my life,” he says. 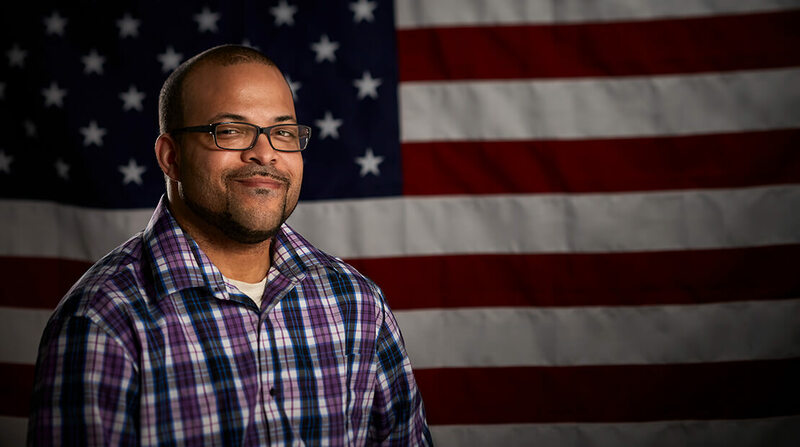 As a Navy Petty Officer First Class, Rashad traveled the world and benefited from priceless life lessons and training that would translate well to a civilian career. “I gained a lot of skills in the military, and the one I think was most valuable was learning to manage, lead and contribute to cross-functional teams. Often those skills are difficult to teach in class. The military proved to be a great platform to grow and develop my people skills,” he says. Rashad was a mechanic turned supervisor of an intermediate-level repair facility for aviation hydraulic, pneumatic and electrical equipment. During his last two years of service, he instructed students on flight control test benches at the Center for Naval Aviation Technical Training. Rashad transitioned to civilian life in 2012, after 13 years of service. He earned a bachelor’s degree in professional aeronautics with a minor in safety and management from Embry-Riddle Aeronautical University. Today, Rashad uses his education, along with the experience and skills he learned in the Navy, in his position as a corporate reliability engineer for Hormel Foods.